A set of letters written by Iceland Nobel Literature laureate Halldór Laxness to the Danish translator of his books are going under the hammer in a Danish auction house today. 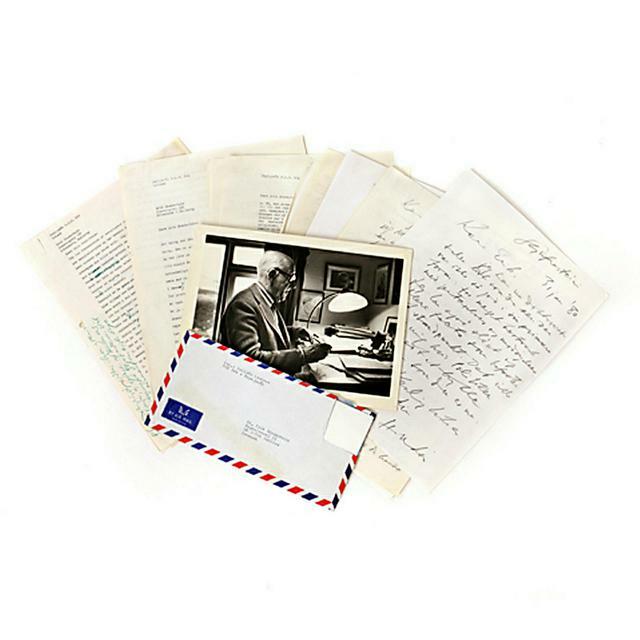 The exciting literary lot includes three handwritten and seventeen typed letters sent to Erik Sønderholm over a twenty-year period from 1962 to 1981, all bearing Laxness’ signature. It is to be sold at auction at Bru­un Rasmus­sen today. The package also contains letters from Sønderholm, four photographs and some Christmas cards. The lots is expected to fetch something in the region of DKK 8-10,000 (€1,100-1,350; ISK 140-175,000).